Dekeling Resort is located in a serene, calm and peaceful locality. 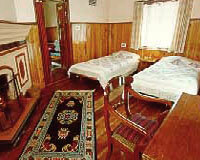 Dekeling Resort at Hawk's Nest combines every conceivable comfort and convenience in unique blend of British and Tibetan hospitality. Sir William Ferguson Ducat originally constructed the Resort in a style reflecting typical British house, which was recently restored by the Deveka family. The attractive resort is now available for enthusiastic holidaymakers and honeymooners looking for the finest accommodation. Efficiently equipped with modern amenities the Dekeling Resort fulfills the needs of discerning tourists. Dekeling Resort offers 4 Suites provided with cable television, large private bath with adequate supply of hot and cold water. 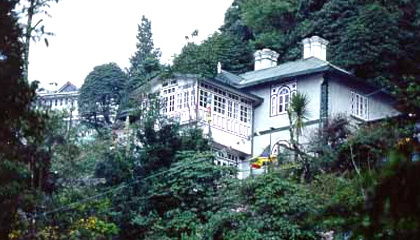 Dekeling Resort has a restaurant, which offers Continental, Indian, Tibetan, Chinese & local delicacies.